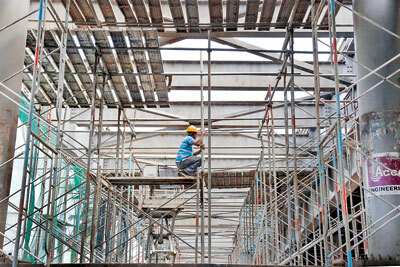 Renovation work on the Kelaniya flyover bridge has been crawling along for more than five months and some parts are being reused by the government to save costs. 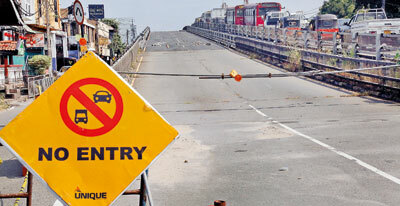 Road development officials say handling steel bridges is a new undertaking for Sri Lankans. But steel bridges have existed in Sri Lanka for decades. When the flyover was opened, the Rajapaksa government and the state media rejoiced that it had been built in “record’’ time. Critics say that the bridge built in “record’’ time, needs an overhaul in its brief existence. The prefabricated flyover was built by a joint-venture exercise involving British firm Mabey & Johnson and Sri Lanka’s Access Engineering. The contract value was Rs 1.9 billion, or £9 million in 2008. It was supported by the British Government’s Export Credit Guarantee Department. The loan was from the HSBC, together with the Hong Kong and Shanghai Banking Corporation in Sri Lanka. At the time, Jeyaraj Fernandopulle was Minister of Highways and Road Development. He was later assassinated by the LTTE. Renovation work on the two lanes towards Kandy from Colombo were scheduled to take three months, but has been extended by another three months. Traffic congestion is causing immense anxiety. Mostly office workers returning home are stuck in traffic for hours. 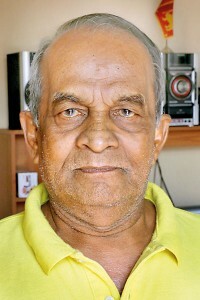 A retired school principal, Reginald Liyanage, who lives in front of the bridge, said it was built by the previous regime. He said residents worry day and night. Maintenance had not been done during the past two years, he said. He added that even after the contractors started repairs five months back, they were unable to fix the bridge as promised in three months. He claims that a few workers first struggled to remove the panels and were new to the job. 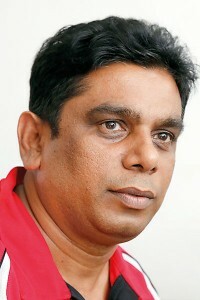 Another resident, businessman Chaminda Dissanayake, said that the government should be ashamed of its incapability. Even the previous Rajapaksa government should be blamed since they rushed the construction work. “The previous government created records when they built it. The bridge also needed renovations in record time. It has rapidly deteriorated,” he said. Mr Dissanayake raised safety concerns, noting that workers are fixing beams and welding new structures using different materials. “We don’t see engineers, we only see some workers grinding rust. This is a waste of time and endangers the public,” he said. He added that the beams have been secured with just two bolts and nuts. He had not seen any government engineers on the site. Shop keepers, restaurant managers and an owner of a garage, said that they have been losing customers from the day the road was closed. They had agreed to bear losses for three months and no longer. They said their parking spaces also had been taken over a few months back. Meanwhile, the Sunday Times learned that the sub contractor is not bringing in more workers due to lack of government funding. Heavy traffic and long lines of vehicles on one side of the bridge have become a common occurrence. The Sunday Times has learned that the Peliyagoda police requested the contractors to speed up work to ease traffic congestion. When a team from the Sunday Times visited the location on Thursday less than 10 individuals including a technical officer were on site – three men were on the scaffolding, while three men were welding a steel deck. More than half the bridge panels had been removed and those that had been refitted, appear to be in the wrong place. A spokesperson for the sub contractor said renovation is challenging because parts have to be dismantled, and damage has to be identified before repairs are done. “It’s unfair to compare the time spent on construction and the renovation. The construction was easy, the workers just install the pieces of the bridge. We have to examine as we proceed with the renovation to ensure there are no defects,’’ he said. He said that the other part of the bridge also needs to be renovated and that it can be completed also by March. The spokesman said the areas that needed repairs had been identified during the four months. He would not comment on the material used, but said improvements are being made. He said workers would not rush and risk the safety of the bridge. “We can’t rush work and endanger people’s lives,’’ he said. Meanwhile, the Road Development Authority director of maintenance and management, K Amaraweera, admitted to reusing usable components of the bridge to cut costs. “We can save money this way. It will only cost 70 million rupees for the renovation if we repair the remaining parts. We have decided to use 100 metal decks after repairs and another 200 new decks,” he said. He explained that deck replacement was done under the supervision of the engineers. Mr Amaraweera would not comment on claims about poor maintenance. He said the RDA will speed up work through another contractor. Meanwhile, the chairman of the Road Development Authority, N R Suriyaarachchi said renovating steel bridges is a new challenge for Sri Lankans and as a result, progress is slow. “Everyone can criticise, but carrying out special maintenance is time consuming,” he said.